Product information "MitoCheck(R) Mitochondrial (Tissue) Isolation Kit"
When measuring mitochondrial function or the effects of an unknown on mitochondrial function, it can be difficult to determine a mechanism using whole organisms or tissue. When this is the case, isolated mitochondria provide a simple and biochemically relevant experimental model. 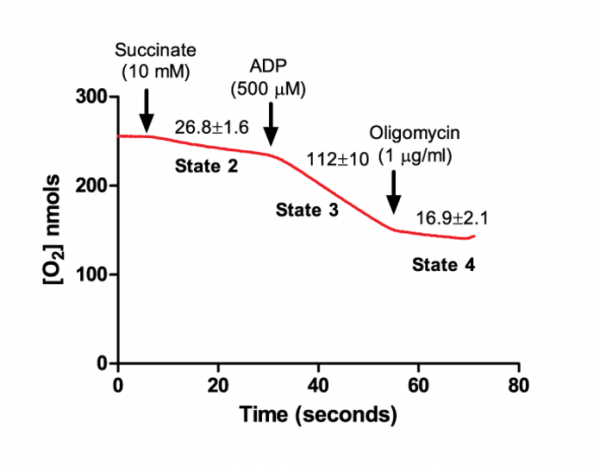 Cayman's MitoCheck(R) Mitochondrial (Tissue) Isolation Kit includes a complete package of reagents and step-by-step instructions for isolating coupled mitochondria* from freshly harvested mammalian heart, liver, or kidney tissue through a process of differential centrifugation in isotonic buffers. *Coupled mitochondria are defined as mitochondria capable of phosphorylating ADP at the F1FO-ATP synthase (Complex V) through the utilization of a proton (H+) gradient, which is generated by the electron transport chain (ETC) in the presence of appropriate substrates (e.g., succinate) and in the absence of uncouplers and mitochondrial inhibitors. Customer review for "MitoCheck(R) Mitochondrial (Tissue) Isolation Kit"